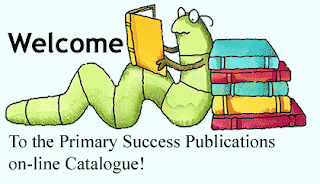 Have you heard of Primary Success? It's a great website run by a retired Grade 1 teacher by the name of Jean Roberts. She lives about 100 k north of me in a town called Nanaimo. Not only does Jean have lots of primary resources for sale, she's also very generous with her freebies. I completely agree with our Ministry's philosophy around homework. I think primary-age children should be going home to play outside, draw, paint, read, chat with Mom and Dad or go off to a movie or the park. 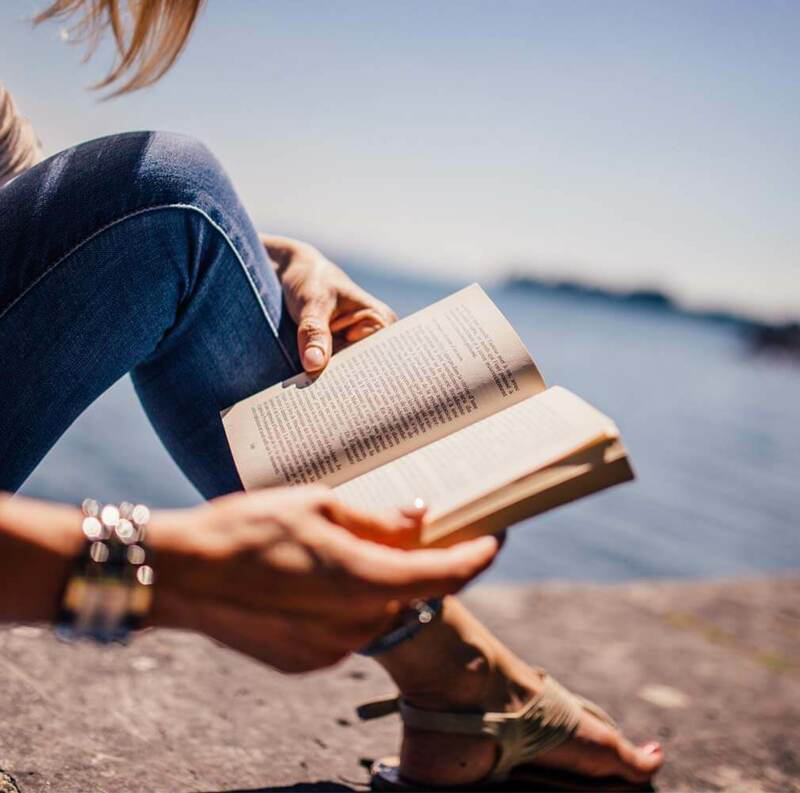 But some kids need a little extra boost and, of course, it's always a good idea to try and establish a bit of a school work ethic, or habit, during the early years. For this reason, I think Jean's Homework Calendars are perfect. Each day there's a little task to do. None of the tasks take very long and there's lots of variety. 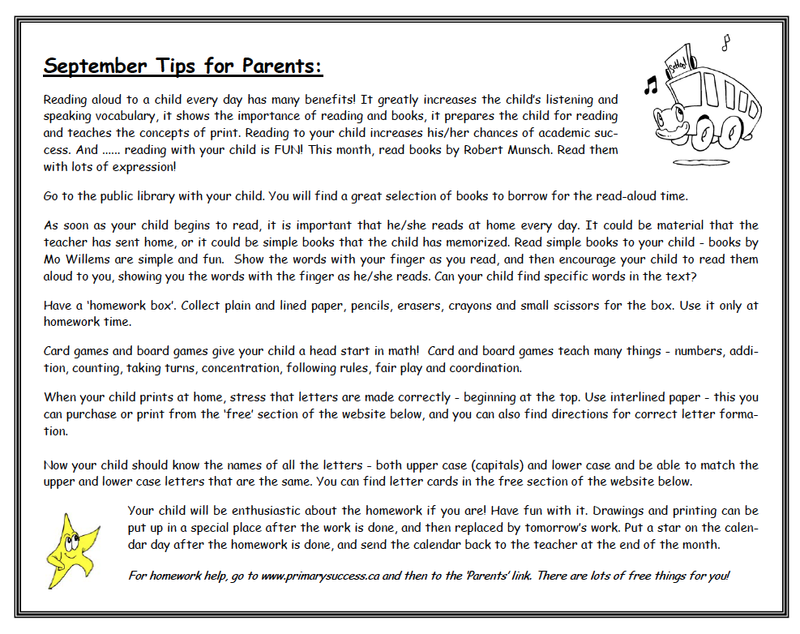 I tell the parents it's completely optional, but if they choose to have their children participate then they're to send the calendar sheet back to school with an initial beside each day, showing that their child completed the daily homework. Not everyone chooses to participate and that's fine. Some families are extremely busy with sports and dance classes and what have you. But other families choose to make it a priority and that's great, too. Just click HERE, then click on "shop", "Grade 1" then scroll down to Homework Calendars on page 4. Before you go, don't forget, you have until midnight Wednesday (Pacific Time) to enter my $20 gift certificate giveaway. Oh my goodness! 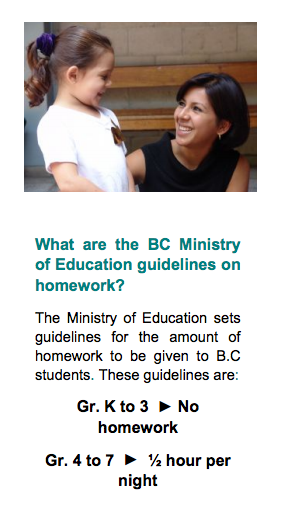 I SO agree with your ministry's philosophy on homework. I want to ONLY give homework to those kiddos who are struggling in a particular area. We are MANDATED to give homework and it absolutely rubs me the wrong way! 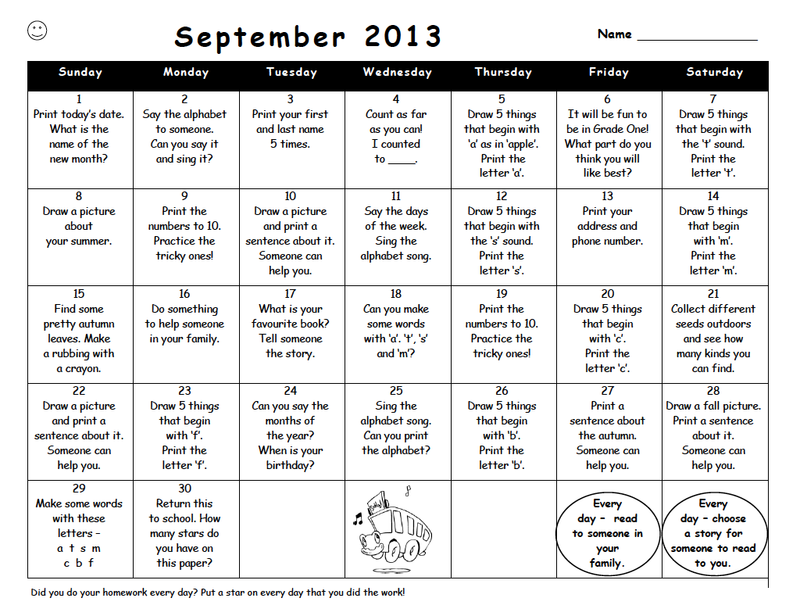 The homework calendars are awesome! It's interesting how countries, states, provinces all have different ideas about what's ideal when it comes to homework for young kids! I love your philosophies regarding homework too. We send home 5 sight words per week and a home reading book each night in kindergarten. It steps up from there each year. As a teacher and a mum I hate homework. I believe kids need to play and relax at the end of a school day. I want this time to be relationship building with my children not homework nagging. Oh don't get me started... Let me again finish by saying love what you do because it's simple and valuable. Love this idea! What a fun way to remind parents and families of the skills their kids really need to know. It is fun! Thanks for stopping by. I wish all schools had your philosophy on homework! My own kids come home and spend HOURS on homework after they have been at school all day. We are creating children who are becoming stressed and burnt out at the elementary level. It's so frustrating to watch! Aw, that's too bad. Home should be relaxing family time. I, too, love the idea of no homework for little ones. Duh! Our little guys get some homework, not much, but I sure like that calendar. Just the right idea. Thanks for sharing. You're welcome, Rhythm. Thanks for stopping by! I agree, young students need time to play and be a kid. But the activities in that calendar are short and easy to do. The right amount and fun too!